I’ve uploaded new version with the fix of broken export. I want to update you about recent progress with UV Outliner. First of all, thank you for your emails – I understand that you want our outliner to grow and mature, I will try to do my best with it. We have a new logo for UV Outliner – it is more professional than previous. 1. 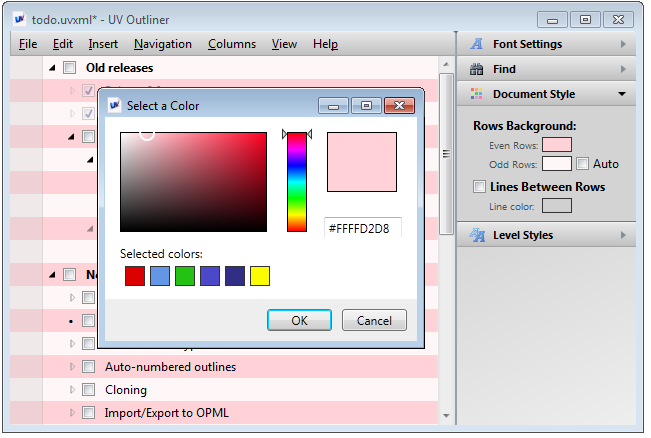 UV Outliner will start to check automatically for updates from this release. As there is a lot of long waited features on the way, and I plan to release new versions soon, I want everyone to know when new releases will be made. 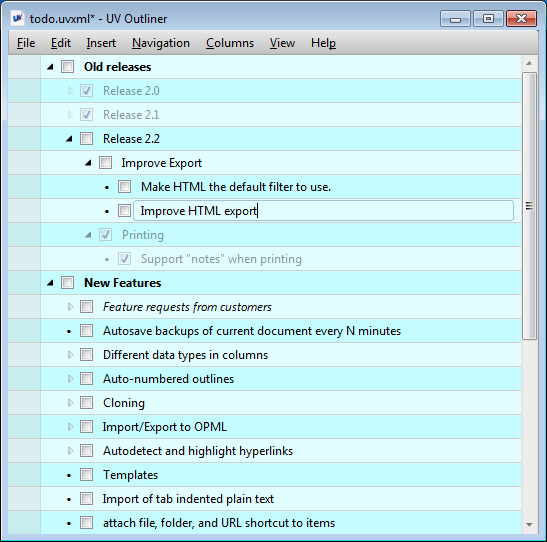 Color adjustments can be made using new Document Style window. 3. Distance between rows reduced by few pixels to improve readability. Previous version was released with broken inline notes. I’ve fixed that. 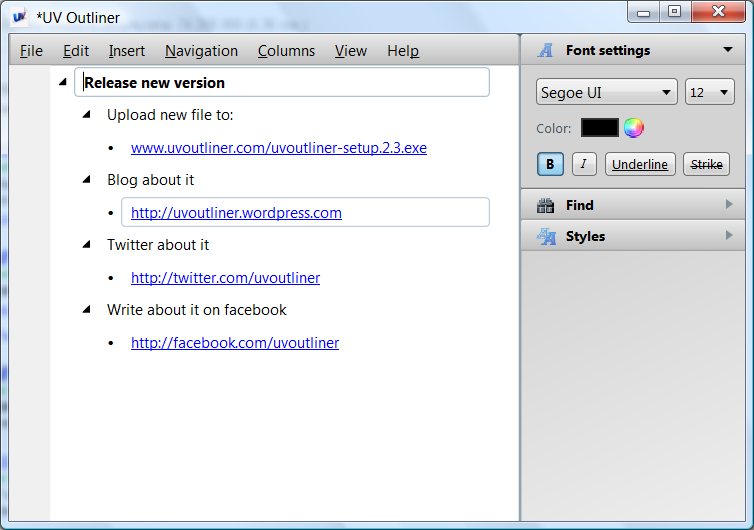 I’ve just released new version of UVOutliner with URL highlighting working. To my surprise, not everyone knows, how easy it is to create new document using Windows Explorer. This very short video shows how this can be done.